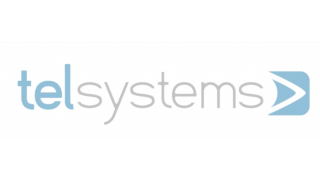 TEL Systems, an Ann Arbor, MI-based integrator of professional video systems and provider of audio video communication solutions, has announced the retirement of Karl Couyoumjian, president and CEO. Couyoumjian's decision to retire will bring to a close a distinguished career of nearly 40 years of service and dedication to the success of TEL Systems, its employees, and customers. Karl Couyoumjian (left) and Tim Boggs Timothy R. Boggs will succeed Couyoumjian as president. Boggs previously served as vice president of technical operations and has been with the company for 18 years, starting as an engineer in 1998. Boggs brings a wealth of experience to the job with his extensive knowledge of engineering, system design and integration, and a focus on developing new products and services to lead TEL Systems’ team and customers into the future. TEL Systems has also announced additional organizational changes. Vice president Paul Eiswerth will manage all key accounts with a focus on broadcast technology and Richard Schoenfeldt, controller, will manage the company financials and the human resources department. "I am excited for the future of TEL Systems and what the next chapter has in store," Boggs said. "The new executive team in place will focus on the TEL Systems engineering heritage that began in 1965 with company founder Robert Thalner. We are a company and staff dedicated to client satisfaction and will carry on the innovation, quality and exceptional support that we are known for."